Juvéderm® is a smooth consistency gel made of hyaluronic acid—a naturally occurring substance in your skin that helps to add volume and hydration. Your healthcare professional eases Juvéderm® injectable gel under the skin to instantly restore your skin's volume and smooth away facial wrinkles and folds, like your “smile lines” or “parentheses” (nasolabial folds—the creases that run from the bottom of your nose to the corners of your mouth). Juvéderm® injectable gel dermal filler is a nonsurgical, physician-administered treatment. Your healthcare professional eases Juvéderm® under the skin using a fine needle to augment, or fill, the soft tissue of the dermis—the dense inner layer of skin beneath the epidermis—to add volume and diminish wrinkles and folds. Juvéderm® injectable gel is great for your "laugh lines," "smile lines" or "parentheses" (nasolabial folds), or "marionette lines" (oral commissures). 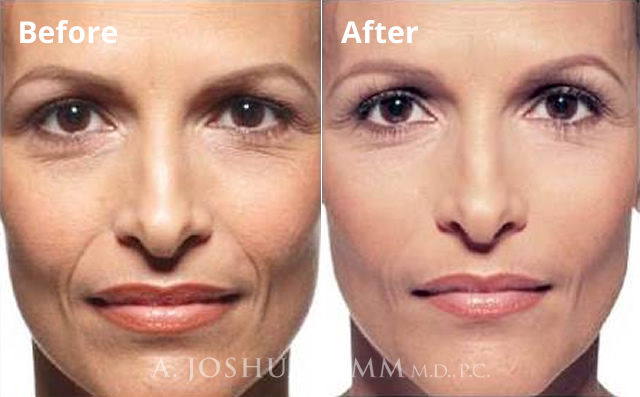 Juvéderm® is a "next-generation" filler. It is made from hyaluronic acid—a naturally occurring substance in your skin that helps to hydrate and add volume. Hyaluronic acid may diminish with age, contributing to the formation of wrinkles and folds. Juvéderm® injectable gel works to correct this by restoring hyaluronic acid in your skin, helping to smooth wrinkles and folds. Determining your treatment needs: Your healthcare professional will examine the soft tissue of your face to assess the depth of wrinkles and folds to determine your treatment. Juvéderm® injectable gel is available in two formulations—Juvéderm® Ultra for versatility in contouring and volumizing facial wrinkles and folds, and Juvéderm® Ultra Plus, a robust formulation for volumizing and correcting deeper folds and wrinkles. 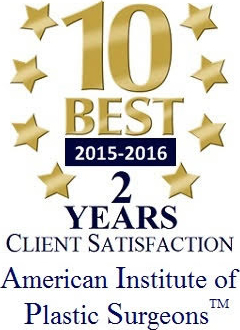 This allows your healthcare professional to better tailor treatment to your unique needs. They may even take pre-treatment photographs so you can see the difference after treatment! After the procedure: With Juvéderm®, there is minimal recovery or downtime. 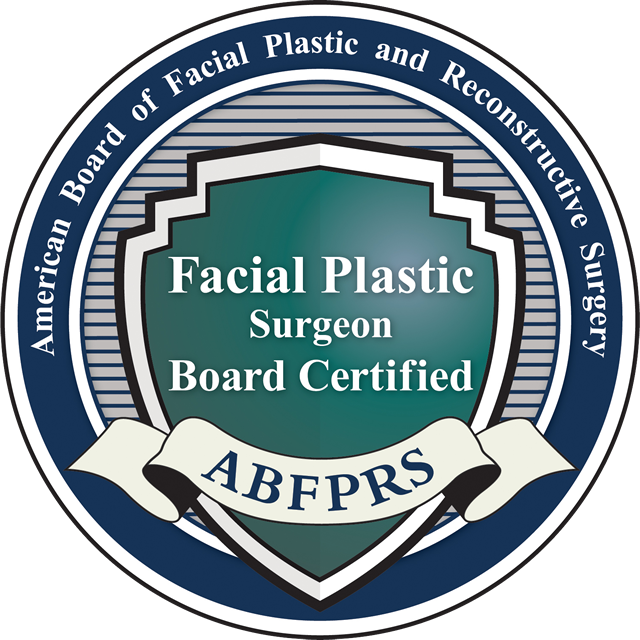 Seeing results: You should see an immediate improvement in the treatment areas. Most patients need one treatment to achieve optimal wrinkle smoothing. And one treatment could smooth your lines and wrinkles for up to 1 year! However, results may vary and correction is temporary. Supplemental “touch up” treatments may be required to achieve and maintain optimal results. Juvéderm® is the only HA filller with FDA approval to last up to one year. * Ask your physician how you can get long-lasting results with Juvéderm®. Juvéderm® injectable gel is a “next-generation” smooth consistency gel dermal filler that helps to instantly restore your skin's volume and smooth away facial wrinkles and folds like your “smile lines” or “parentheses” (nasolabial folds—the creases that run from the bottom of your nose to the corners of your mouth). Juvéderm® comes in two formulations—Juvéderm® Ultra and Juvéderm® Ultra Plus. Juvéderm® is indicated for injection into the mid to deep dermis for correction of moderate to severe facial wrinkles and folds (such as nasolabial folds). Juvéderm® injectable gel is a “next-generation” hyaluronic acid dermal filler that provides volume and is used to treat wrinkles and folds resulting from a loss of volume beneath the surface of the skin such as perioral lines and nasolabial folds (lines around your mouth and nose). Juvéderm® restores your skin's volume for a smooth, natural look and feel. BOTOX® Cosmetic is not a filler. BOTOX® Cosmetic relaxes muscle activity and is used to treat moderate to severe lines caused by the dominant frown muscles between the eyebrows (the glabellar area). This allows the two vertical lines between the brows, often referred to as the “11,” to temporarily diminish for a smoother appearance. For important safety information about BOTOX® Cosmetic, see below. JUVÉDERM® is the ONLY hyaluronic acid (HA) filler FDA approved to last up to 1 year. * Talk to your healthcare professional about Juvéderm™ today—so you can start seeing results! 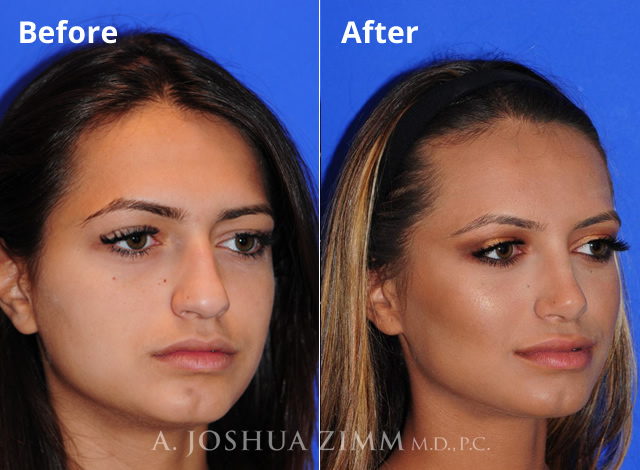 Call for today for a consultation with Dr. Zimm. He has been specially trained in the administration of Juvéderm® and will be happy to discuss whether it is right for you.